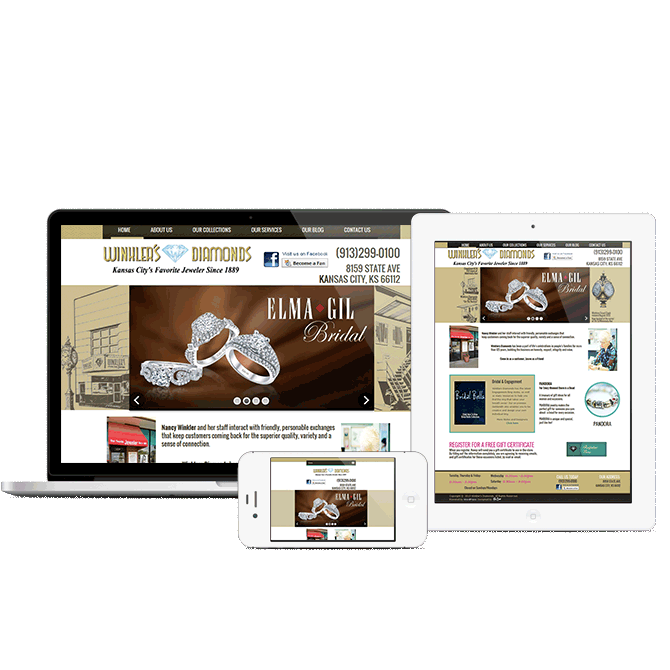 Kansas City, Kansas jewelry store Winklers Diamonds wanted to develop a unique website that showcased their product. We collaborated on a responsive website design that adapts to the users device. This way no matter what users are viewing the site on, it will be optimized for and adapt to the resolution of the device.